Anna Kournikova’s meteoric rise to fame and success is fascinating as it is interesting. However, her life was never a bed of roses, contrary to her pretty face. She suffered a series of injuries, especially back injuries, during the later part of her active years. This resulted in her sliding down the rankings. Born in Russia, the daughter of a wrestling champion and University professor, Kournikova came from a family that was naturally sporty. Her brother, Allan, is a youth golf world champion. Looks and acting ability also seem to run in the family – Allan has also appeared in a short film The Short Game. 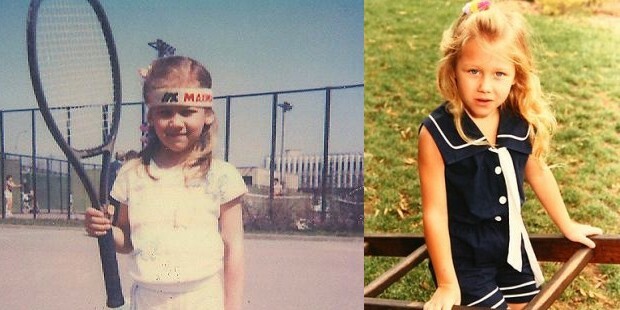 Kournikova’s first brush with tennis came when she was gifted a racquet when five. She was enroled in the Spartak Tennis Club and coached by Larisa Preobrazhenskaya. By the time she was nine, she began playing in junior competitions and caught the eye of tennis scouts all over the world. Within two years, she was good enough to sign a management deal and a travel to the United States to train at the famous tennis training academy by Nick Bollettieri. 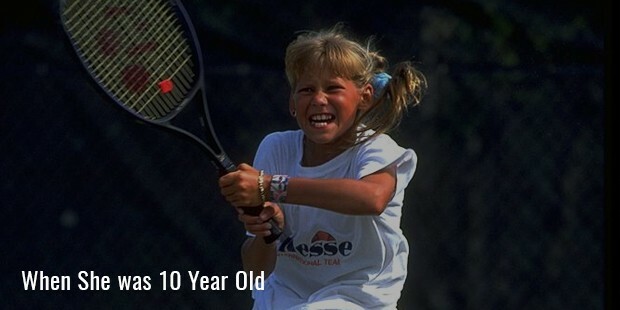 Kournikova went on to win many junior tennis tournaments. She was also named the champion at Junior World Championship and the Junior European Championship in 1995. True to her talent, Kournikova entered the fourth round of the U.S. Open when she was only fifteen years old. The next year, she got to the semi-finals of the Wimbledon. There was no stopping from there on. In 1999, she played against Martina Hingis and won two Grand Slam doubles titles. Along with Hingis, she was known as the “Spice Girls” of tennis. Unfortunately, Kournikova did not reach the finals more than four times in the 130 singles games that she played. She never won and throughout most of her career, her rankings remained in the top thirty. Despite this, she managed to become known as one of the most widely known tennis stars in the world.Kournikova’s playing style was famed for its aggressive baseline play, foot speed, dropshots, and angles. However, her game suffered from frequent errors due to her flat and relatively high-risk groundstrokes. In singles matches, her serve was considered to be unreliable sometimes. She was said to be more suited for doubles games and has drawn comparisons to doubles experts such as Peter Fleming and Pam Shriver. Kournikova’s personal life has always been a subject of personal interest. Her relationships with fellow Russian athlete, Pavel Bure, Russian teammate Sergei Fedorov, and pop star Enrique Iglesias were well known and bombarded in the media. Several rumors about her marital status have been around but Kournikova has always refused to confirm or deny them. Currently, Kournikova and Iglesias have planned a $20 million home in Miami. She remains tight-lipped about her relationship status. Modeling campaigns have kept Kournikova in the limelight for long. She has modeled for Sports Illustrated Swimsuit Issue, Maxim, and FHM. She also appeared in a minor role for the movie Me, Myself & Irene. She also tried her hand at reality television show, The Biggest Loser as a celebrity tennis trainer for contestants. Who says that one has to win all the battles to be famous? Kournikova inspired popular culture by a combination of her talent, charisma, and forceful personality.